There are those times when all you want to do is pop a mini muffin into your mouth or pop a couple of mini muffins into your mouth but not all at the same time, unless of course you have a big mouth:) When my grandkids stayed with us a few weeks ago they wanted mini blueberry muffins…so mini blueberry muffins it was. 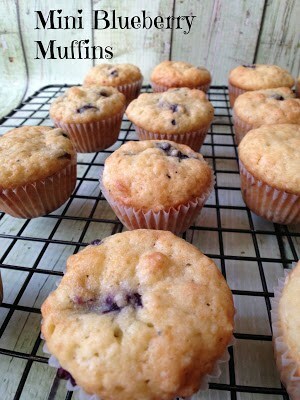 These mini blueberry muffins are perfect for little fingers but adults like them too. I love mini muffins, Why? For some reason I just feel better about eating a ‘mini’ muffin rather than eating a huge ‘jumbo’ size muffin…even though I love them too. Mini Blueberry Muffins are super easy to make and super delicious too. They’re made with buttermilk, fresh or frozen blueberries and a touch of lemon zest. This recipe makes 48 mini blueberry muffins so you can easily freeze half a batch for later. Mini muffins made in any flavor are a great to add to your children’s lunch boxes or if you need to bring a treat to share with the classroom, mini muffins are the answer. 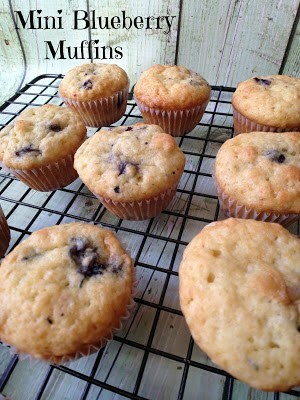 Mini muffins are also great to make for bake sales. You can price them moderately and watch them fly out the door. Everyone loves mini muffins. Preheat oven to 375°F. 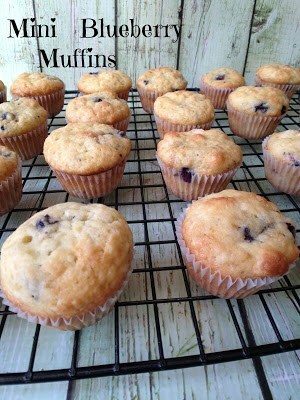 Line 2 24-cup miniature-muffin tins with mini paper muffin liners. In a bowl, mix flour, baking powder, cinnamon and salt. In a separate bowl, whisk eggs, lemon zest, buttermilk, oil, sugar and vanilla extract. Stir dry ingredients gently into milk mixture. Fold in berries. Spoon batter into paper muffin liners so they’re 3/4 full. 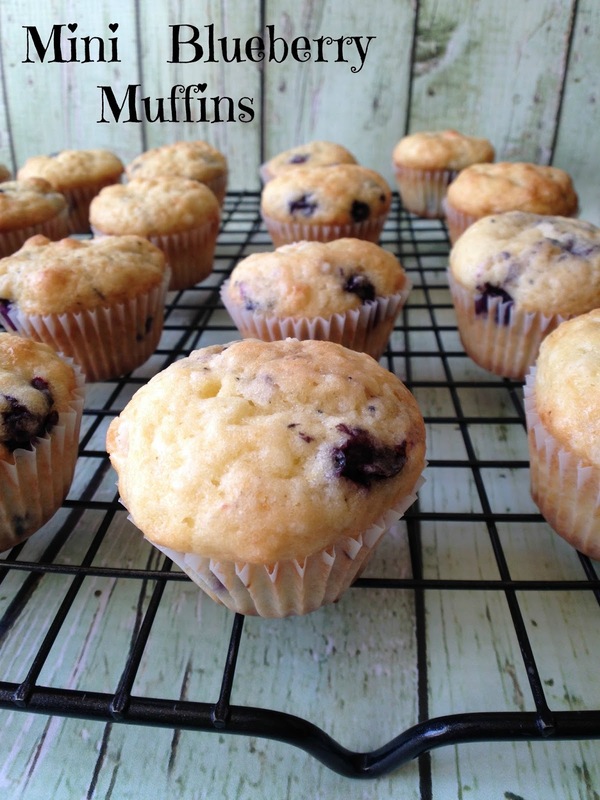 Bake until a toothpick inserted into center of a muffin comes out clean, 15 to 20 minutes. Let cool in pans on wire racks for 5 minutes, remove muffins, cool on wire racks.